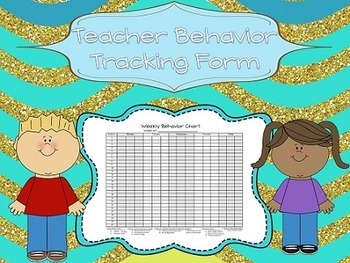 This behavior tracking form is fully EDITABLE! I use this form on a clipboard and take it with me everywhere we go to track behavior. 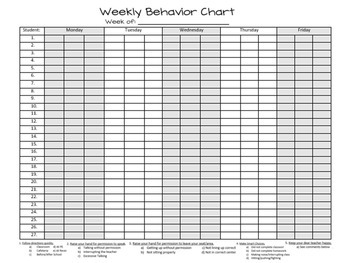 This form is used to track student behavior on a weekly basis. It includes whole brain rules with rule numbers at the bottom. The three spaces provided for each student under each day are for writing rule numbers for the day. *Rules can be modified to your liking. However, you will have to type them in because my rules are in picture form.